Borrowers cheered yesterday as the swap offer rate (SOR), a benchmark interest rate that mortgage rates are commonly pegged to, fell below zero for the first time. In a historic moment for Singapore’s banking industry, the three-month SOR plunged to -0.0119%. The SOR, which is fixed by the Association of Banks in Singapore daily, represents the average cost of funds that banks in Singapore use for commercial lending. It also factors in exchange rate movements. Traditionally, the SOR is more volatile than the Singapore inter-bank offered rate (Sibor), which is the other benchmark interest rate in Singapore. A negative rate is startling because in economic theory, it implies that banks are so flush with cash that they now charge a “fee”- as opposed to paying interest – for accepting deposits. Bankers said yesterday that this is happening because investors are switching out of the US dollar, and there are increased cash flows into Singapore. The Singdollar to US dollar exchange rate also affects the SOR. With a weakening greenback, the SOR will continue to fall. Banks here typically peg their loan packages to the Sibor or SOR, plus a profit margin. But don’t expect banks to end up paying their customers to borrow from them. 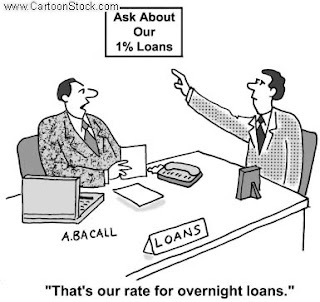 OCBC Bank and UOB, which have loans packages pegged to the SOR, have said that there are clauses to “floor” the rates at zero, even if the SOR is negative. Home owners taking up new Sibor-pegged property loans pay between 1% and 1.33%, while loans pegged to the SOR may end up paying between zero and 0.6% with the new SOR rates, he noted. 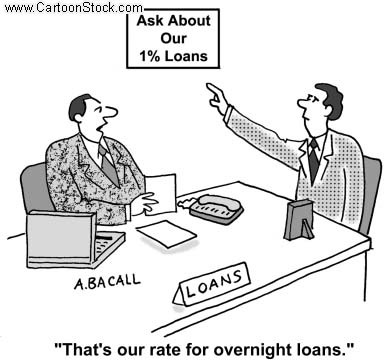 Indeed, some economists believe that SOR rates are likely to remain low for a while yet. UOB economist Chow Penn Nee said some factors that will keep interest rates low include the United States Federal Reserve’s announcement that interest rates will be kept low until mid-2013. Also, with the Monetary Authority of Singapore’s current monetary policy stance of a Singdollar appreciation, the US dollar is likely to fall against the Singdollar. This will mean even more funds flowing into Singapore, which still has a triple-A rating and is considered an alternative to the US dollar. Barclays Capital economist Leong Wai Ho, on the other hand, does not think that the depressed SOR will persist. Unfortunately, the home loan that the wife and I took up recently is pegged to Sibor. And without sounding like sour grapes here, we tend to agree with Mr Leong about the sustainability of such depressed SOR rates. However, it does provide some cheers at least to consumers and probably a temporary respite to some home owners. This is especially after the slew of bad news we have been hit with recently - the continual “bloodshed” seen in the stock markets and technical recession looming for the Singapore economy. No Comment to " SOR has gone negative...but for how long? "